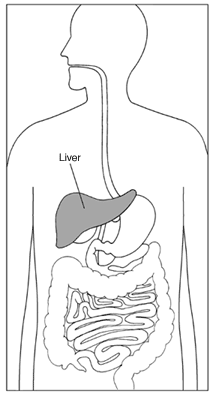 Best way to help your liver? This post is really about the second best way to help your liver. As mentioned previously – your liver is one of your major organs – it is impossible for you to have excellent health if you don’t have a healthy liver. As mentioned previously, your liver performs an array of functions that are crucial to your overall health and the proper functioning of your body; not the least of which is removing toxins from your body. And if you have any hope of properly metabolizing fats (and the associated fat vitamins) as well as other nutrients – you need to have a healthy liver. So what is the best way to protect your liver? The simple answer is avoid toxins. The not-so-simple part of that is thinking about the air, food, water, and other things you consume and that you come in contact with that add to your toxin load. There are many substances people are now exposed to on a daily basis that our bodies were never exposed to in the past and that put a heavy toll on your body – and on the liver itself. We’ll look at ways to avoid toxins in future posts – but given this, what can you do to help your liver? 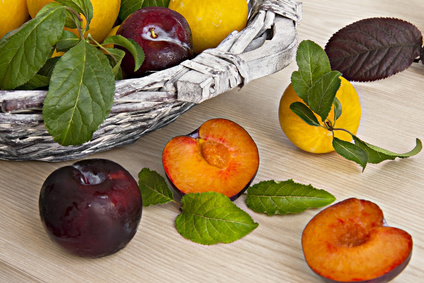 There are a number of foods that can assist in healthy liver function – in an upcoming post I’ll detail a few of those. However there is an herbal supplement you can take that will help with healthy liver function and can help detoxify or rebuild your liver: milk thistle. I recommend the her Milk Thistle as a part of a healthy lifestyle to keep your liver in good shape and help it deal with the daily load of toxins it deals with for you. Milk Thistle has a long reputation as a liver aid For thousand of years people have used Milk Thistle to revitalize the liver, to aid in it’s detoxification, and to help with the flow of bile (crucial to the proper utilization of fats and fat based vitamins). It has had and continues to have this reputation because it does work. Milk Thistle contains the substance Silymarin -a highly active antioxidant that contains silibinins and other related compounds. This potent substance is known to have a very positive effect on the liver, on toxicity in the body in general, and a strong antioxidant in it’s own right. Milk Thistle has a growing reputation as having positive effects on a number of other health issues including high cholesterol, dermatitis, and a protective effect against a number of cancers. 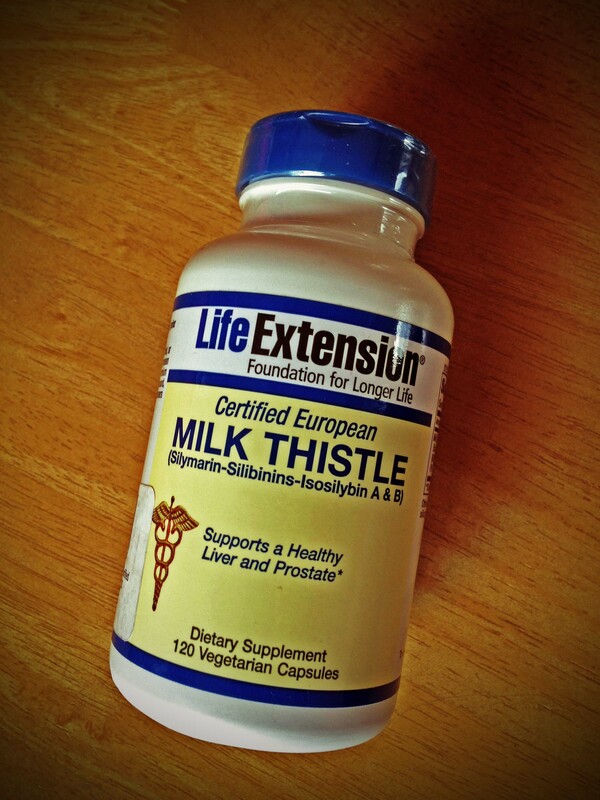 I personally recommend Milk Thistle extract available from Life Extension. This formulation is high quality and has a good reputation. In addition, I hold Life Extension in high regard for their research into healthful living and ways to increase/maintain good health. Please use the reply form below for any questions or comments – I’d love to hear from you. Does changing time have your body clock messed up? 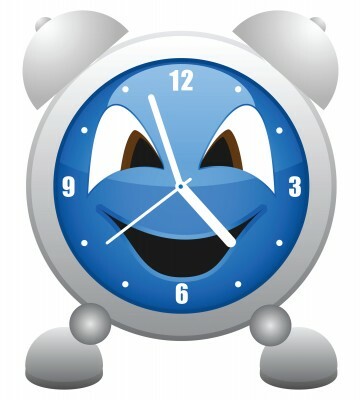 Every year the same thing happens in the US – in the autumn people are happy for an extra hour of sleep when the clocks change and every spring it’s a pain when you lose an hour of sleep due to the time change. The funny thing is, your body tends to still wake you up at the same time in the fall and wants you to sleep until the same time in the spring. It’s the topic of conversation at home, work, radio and tv shows, etc. You can do something to help with this and end up getting better sleep. You can basically do a reset of your body clock and get better overall sleep through the use of melatonin. This post will highlight the benefit of melatonin in general and how it can help you reset your body clock more quickly, whether it is because of a seasonal time change, or travel to another time zone. What is melatonin? Melatonin is a substance that your body naturally produces (in the pineal gland in your brain) to help regulate the sleep/wake cycles. It is inexpensive, readily available, and effective from any corner drugstore, health food store, or from online sources. I recommend a dissolvable or sublingual lozenge. Some people find that a time-release formula works better for through-the-night sleep. It is best to start with a small dose and work up from there – you may not require much for it to be effective (2, 3 or 5mg). With drastic time changes, it may take a bit more to help do the initial reset of your body clock. Many people find that they can back down your dosage once the re-establish healthy sleep patterns. This can also be a great benefit when traveling, especially if you have changed time zones. Side effects – typically none, though many people report that they experience more vivid dreams than normal. Also, make sure you don’t take melatonin during daytime hours as it will make you tired and will tend to throw off your normal body clock. Also, keep in mind that melatonin is not able to make up for lack of or too little sleep. For more on sleep, make sure you check out the posts on healthy sleep part1 and healthy sleep part 2. 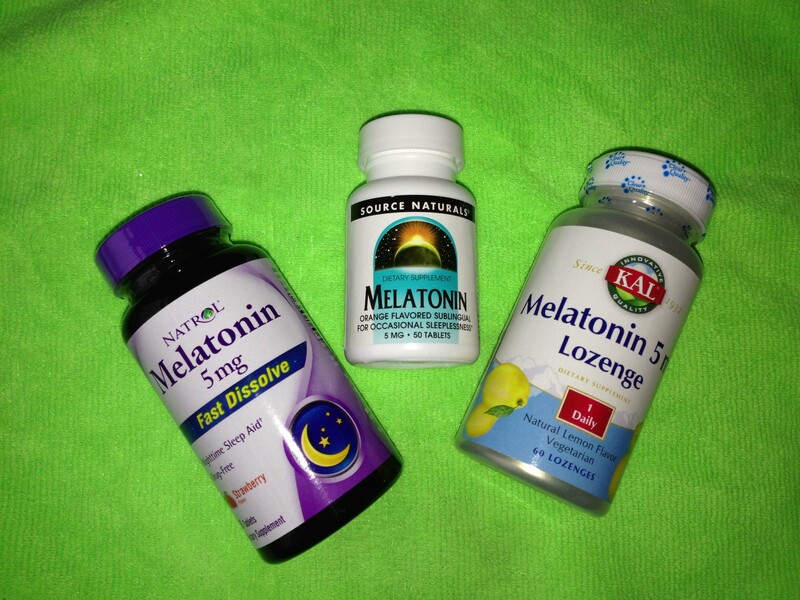 Do you have questions about melatonin or anything related to a healthy lifestyle? Use the reply form below – I’d love to hear from you. So how often should you run? I love to run and have loved it for a number of years. For those that enjoy it as much as I do (some might use the word obsessed) going on a run more than once in the same day is not out of the question. I’ve been know to get “my” run in early in the day and then go for a “social” run with friends later in the day. Obsession? Maybe – but I really do enjoy running – not just the physical benefits I get from running; i just enjoy getting out, feeling my body move and respond, the endorphins (the so-called runner’s high – will be covered in an upcoming post) and the invigoration from feeling my muscles in use and the beat of my heart and air exchange from deep breathing. So am I recommending that you run multiple times in a day? No – you can, but even that is based on the same principles that answer our question of how often you should run. Over the next few posts we’ll take a look at each one of these and unravel the answer to this question. If you have to know right now – the most important principle is to listen to your body – it gives you feedback all the time; sometimes we either listen poorly or ignore the messages it’s sending. Questions or comments – use the reply form below – I’d love to hear from you! This is the second part of a series on running – in this post I’ll cover a little background on why I run. I like to run and it’s one of my favorite fitness activities, and I hope that by giving you some of the reasons I like to run, that it might encourage you to make running a part of your plan for a healthy lifestyle. I want to share with you a few of the reasons why I started running for fitness as an adult, and why it’s one of the mainstays of my healthy lifestyle. I started running in my 20s shortly after getting married, and becoming aware of my rapidly expanding waistline. I talked to a friend who was an avid runner and he gave some tips to get me started; almost 30 years later I still enjoy the calorie burn I get from running. 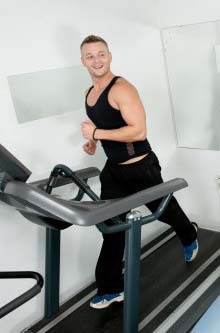 Though there are many variables, you can roughly figure that you burn 100 calories per mile that you run. When you do that consistently (and don’t add to your diet to make up for the exercise you’re doing), tt add up and make a difference quickly. Running is a great overall exercise to promote cardiovascular health. It gives you an opportunity to exercise your heart, lungs, legs and even stimulates blood flow to the brain. As highlighted in a Time Magazine article from a few years ago, runners tend to live longer and healthier lives. Running is one important part of my plan for my healthy lifestyle. Everyone has to find the best time for them to exercise based on their life and preferences and personality. I don’t agree with the philosophy that says everyone should get out and hit the road and run first thing in the morning right after getting up. 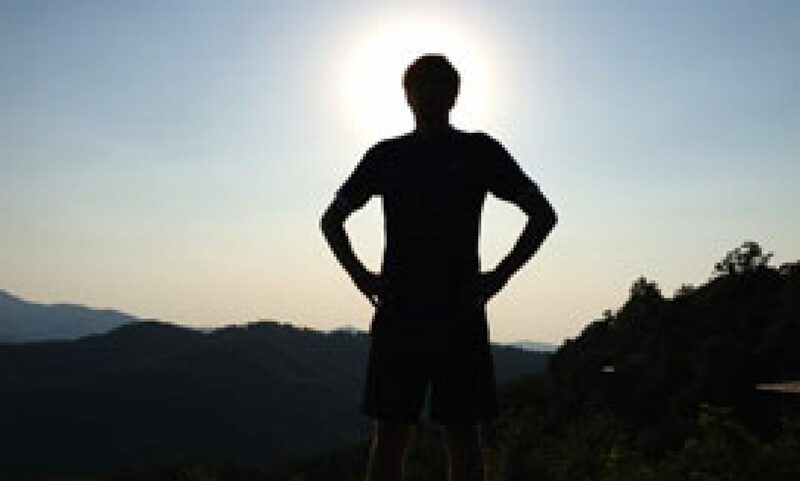 While exercise in the morning is not a bad thing – you need to find what works best for you. I personally prefer to run after work, when I can “run out” the stress and pressures of the day, and leave them on the running trail (though sometimes it’s nice to fit in a mid-day run on an especially nice day). I find it’s a great way to release stress and that I’m able to leave the “stuff of the day” out on the trail so that I can enjoy my evening. We all run, at least at one point we all ran. When they think back, most people have pleasant childhood memories of sunny summer days, grassy fields or lawns, and the feeling of the grass beneath your feet as you run playing tag or just playing. Somewhere along the way that changes for many of us, and it takes something to remind us that running really can be fun – not just a chore to get in shape or stay healthy. Whether running with friends enjoying some friendly competition in a race, or just being able to spend some personal time breathing fresh air – running can even be a great get-way in the middle of a busy day that just might give you what you need to make it through the rest of the day. In the next few posts we’ll look at how running can benefit you (not just losing weight), some suggestions on how to approach running (so that you won’t give up), and some tips and tricks to get the most out of it (and not sabotage your results).